We've known this for sometime but the permits and supervision have been approved, so we can finally announce it. Keep in mind, most restaurants have deadlines and expiring discounts, so don't delay! 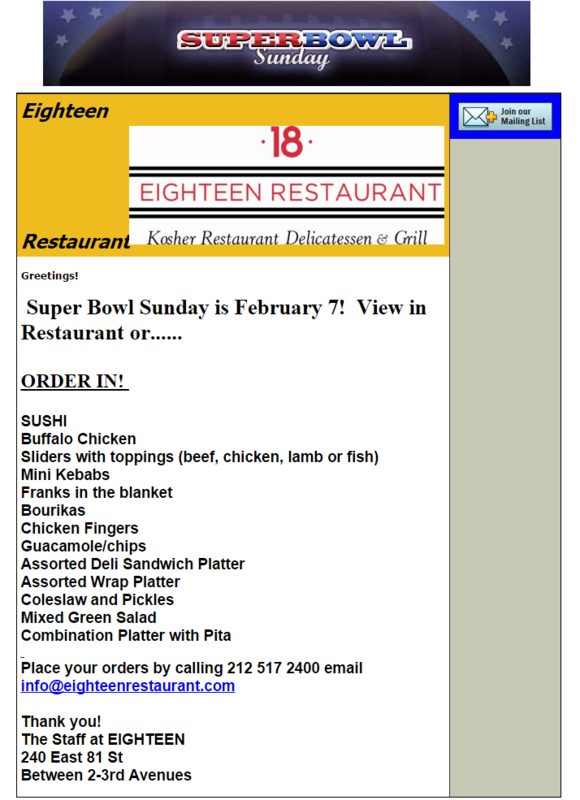 Click here for their Super Bowl dine in & take-out specials. A flat screen TV will be playing the Superbowl in the restaurant. A La Carte ordering available.